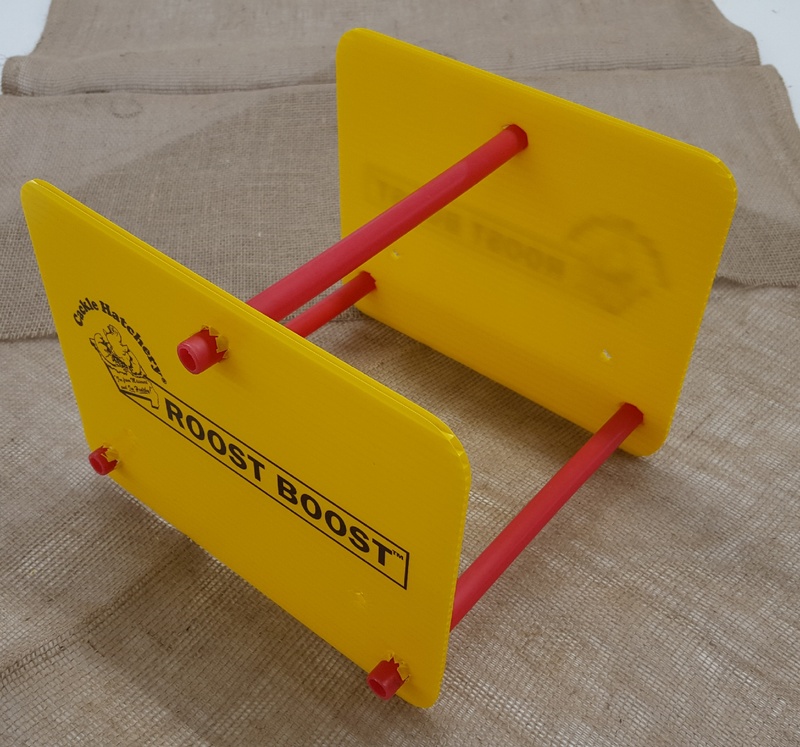 Roost Boost™ FREE SHIPPING on all supply order totals exceeding $25.00. 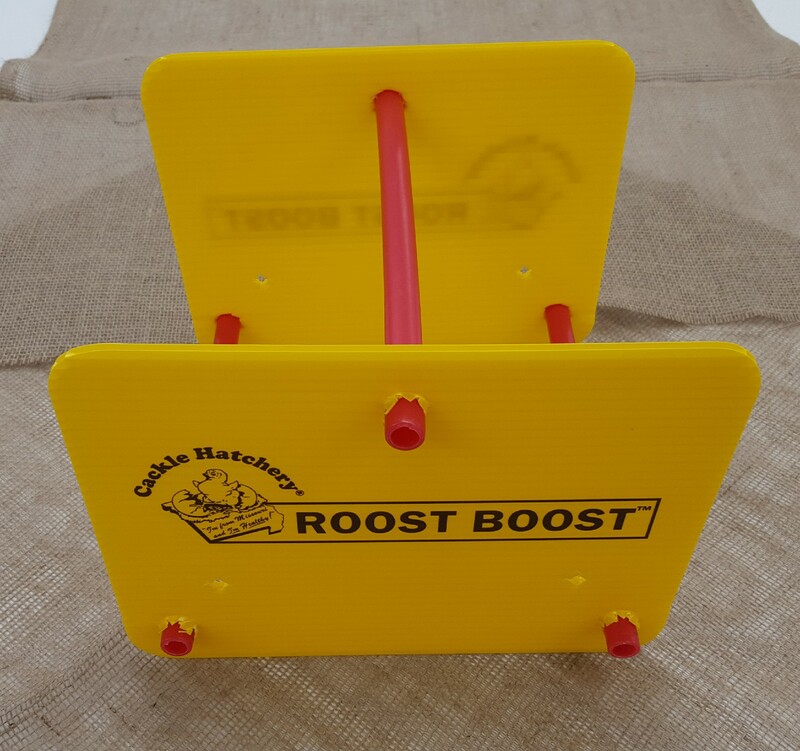 Developed and manufactured by Cackle Hatchery®. 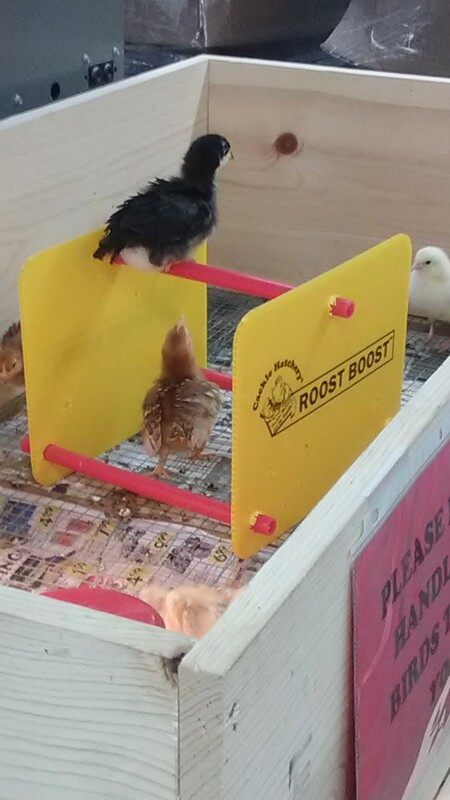 Chickens have a natural instinct to roost above the ground where they feel safe. 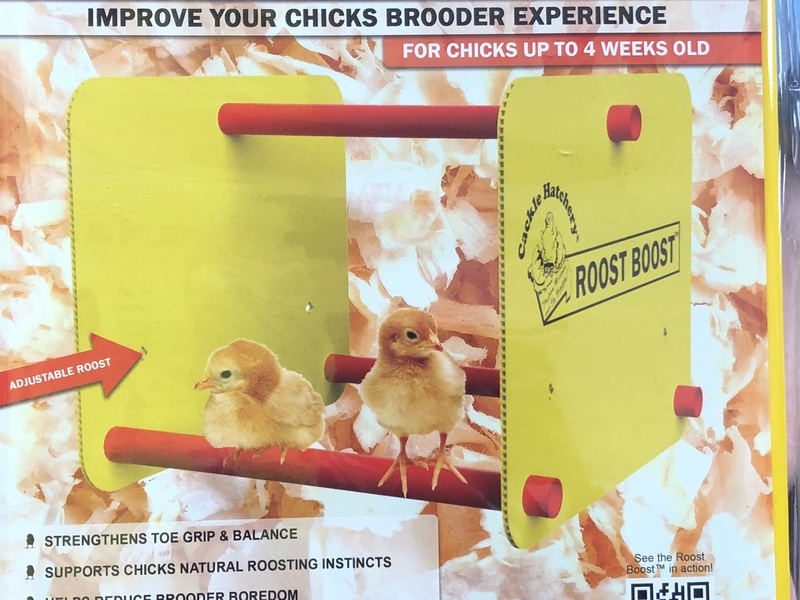 This instinct typically starts, and is practiced, around 1 week of age, so it's important to provide your chicks with the opportunity to develop their roosting skills and increase foot strength as they grow. 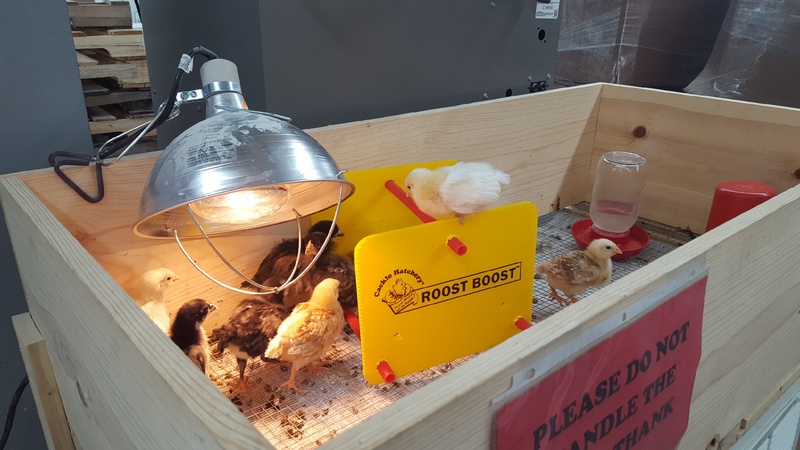 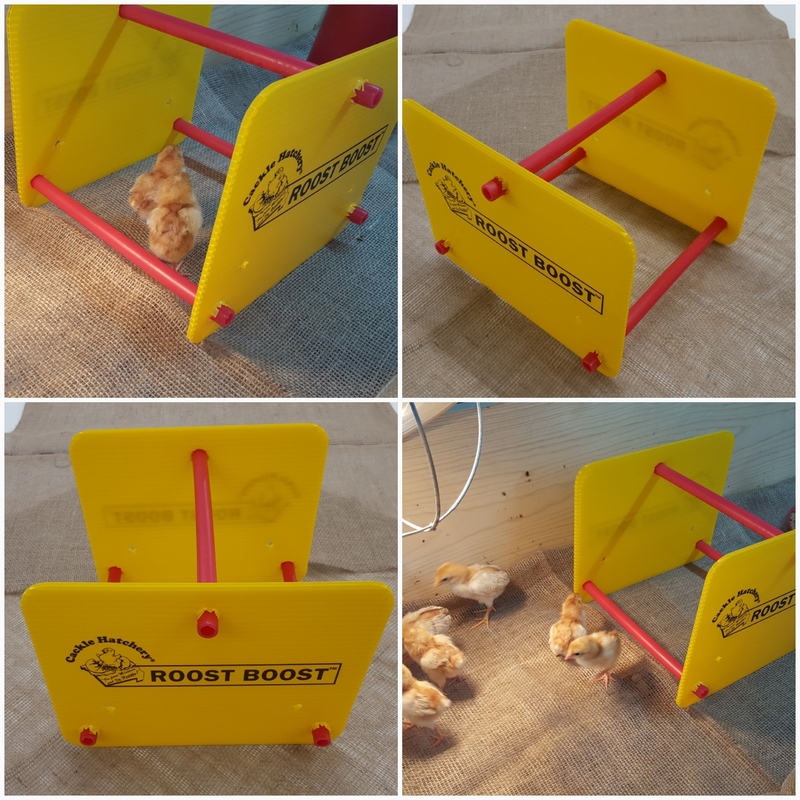 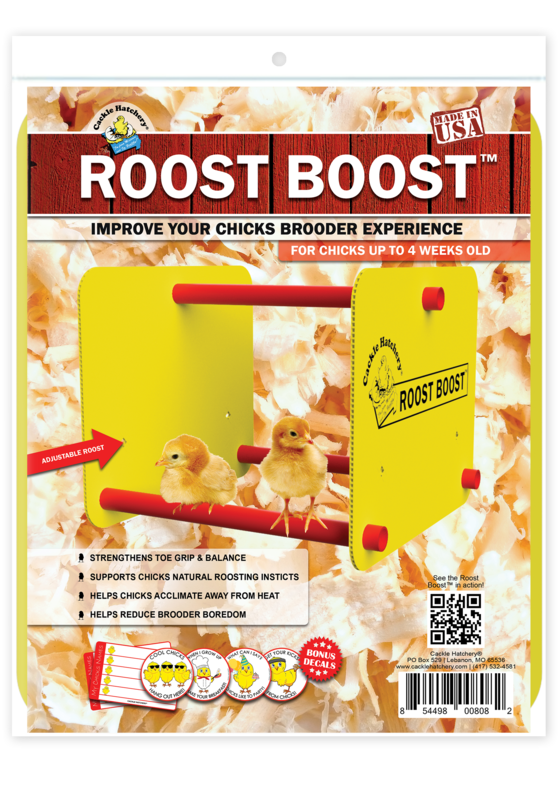 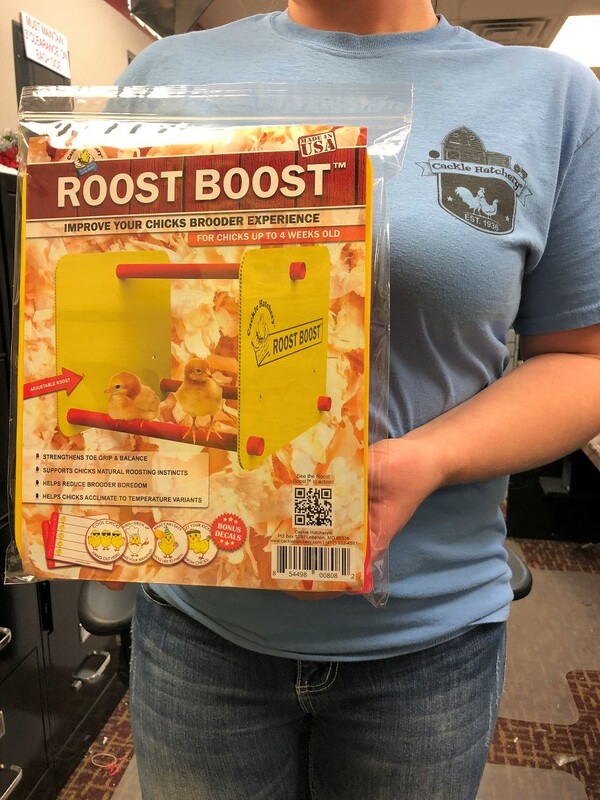 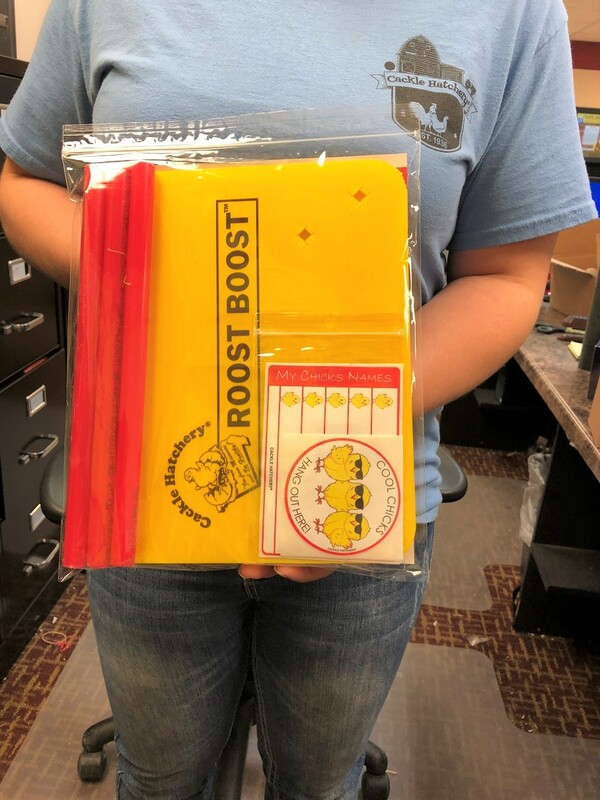 Roost Boost™ from Cackle Hatchery® provides a simple solution for your chicks needs and helps enhance their brooder experience. 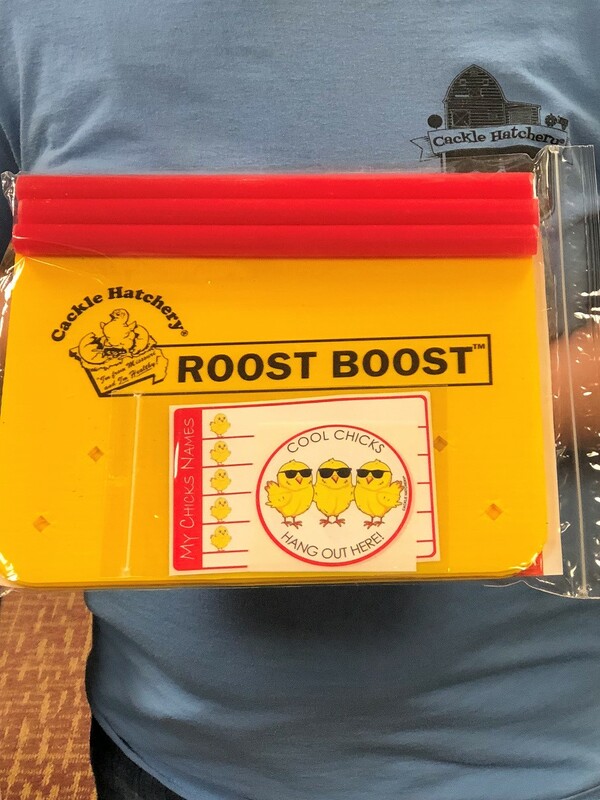 Cackle Hatchery Roost Boost™ includes 6 fun decals to personalize your Roost Boost™. 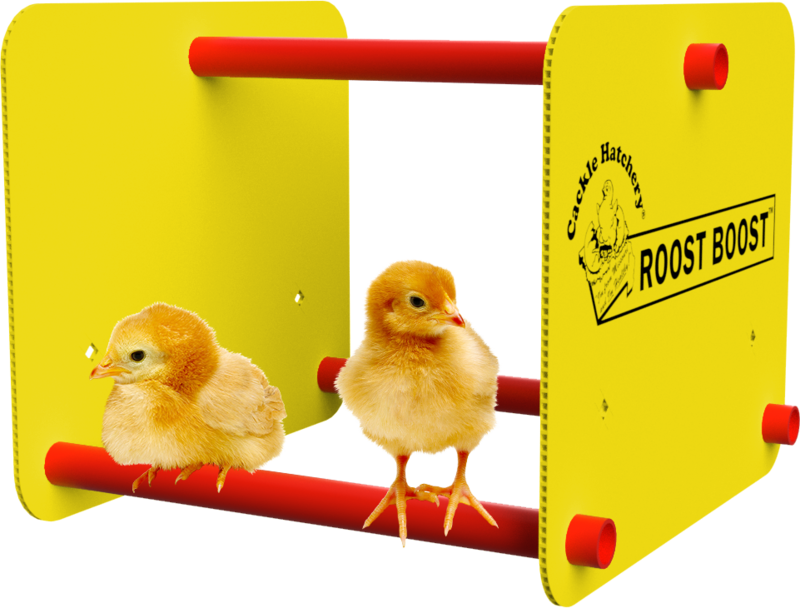 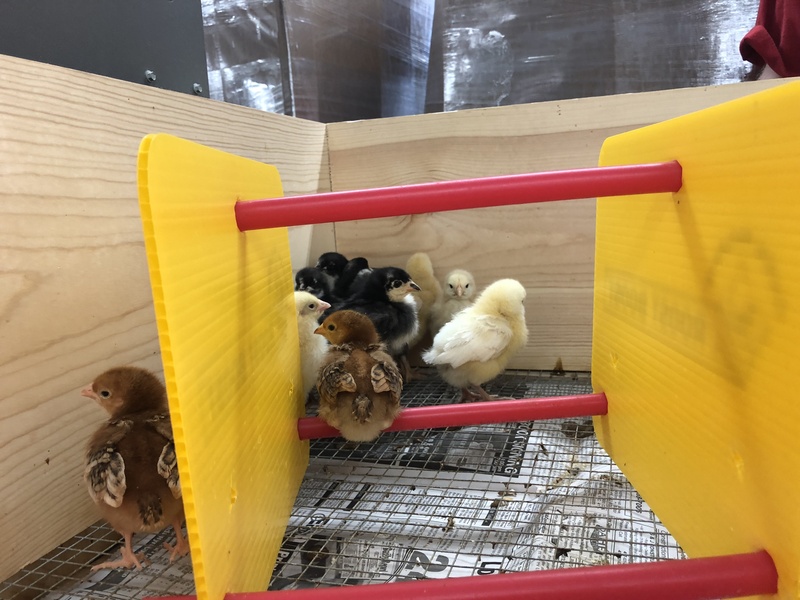 We have designed this product to have an adjustable height so you can adjust it as your chicks grow. 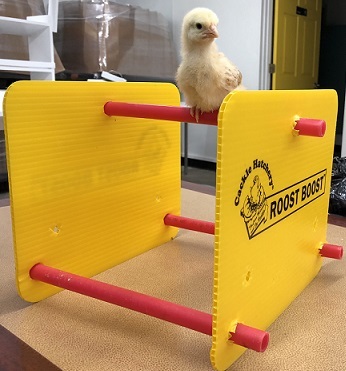 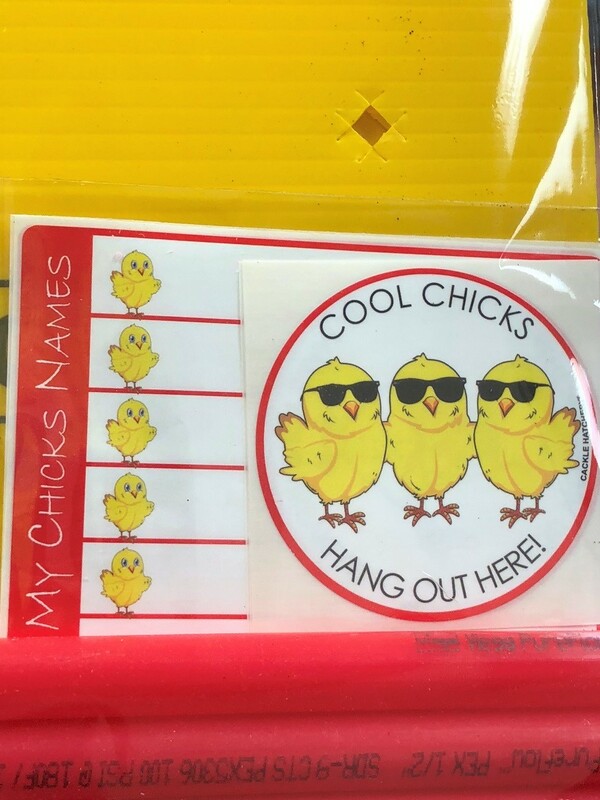 Is one of several new Cackle Hatchery® branded products. 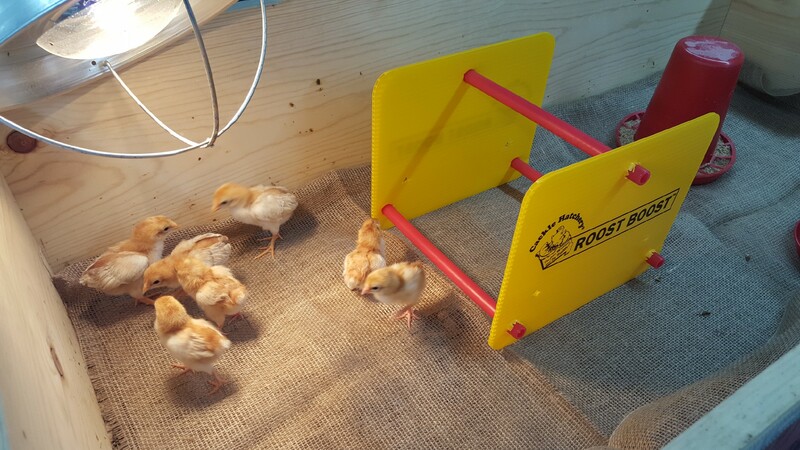 Panels and roosting poles are plastic making them easy to clean and sanitize. 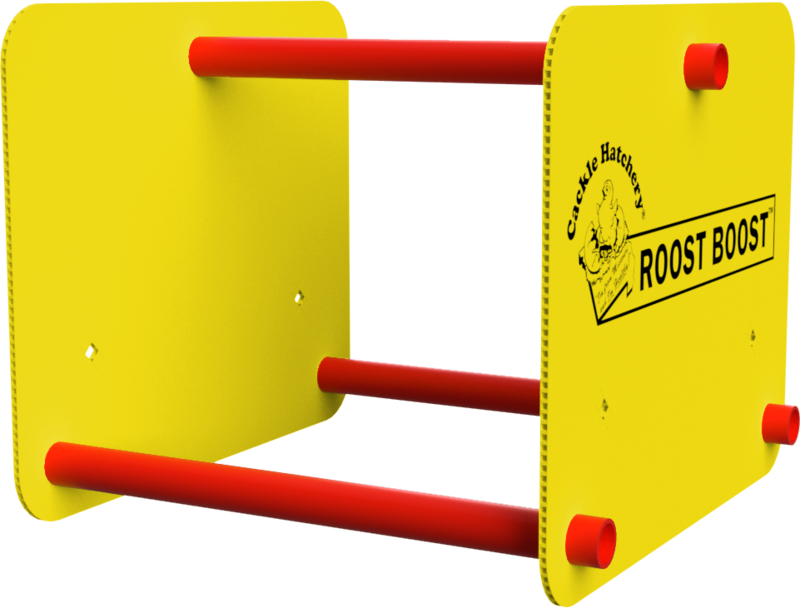 Dimensions are 10 3/4" wide x 10 3/4" long x 8 3/4" high.